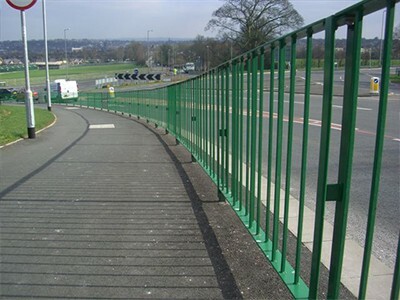 Alpha Rail are a pedestrian guardrail specialist with more than 30 years experience delivering local authority projects throughout the UK. 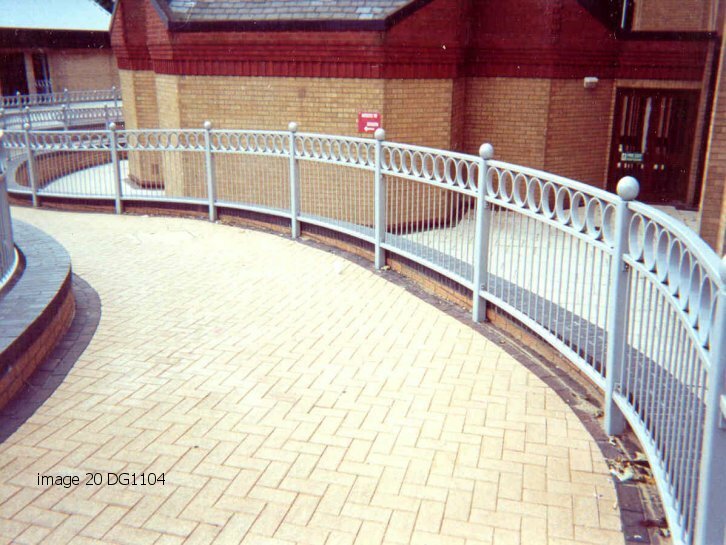 Our Midlands based fabrication facility produces the highest quality guardrails, delivering industry leading safety performance. Call us today � 5% discount off your first order. 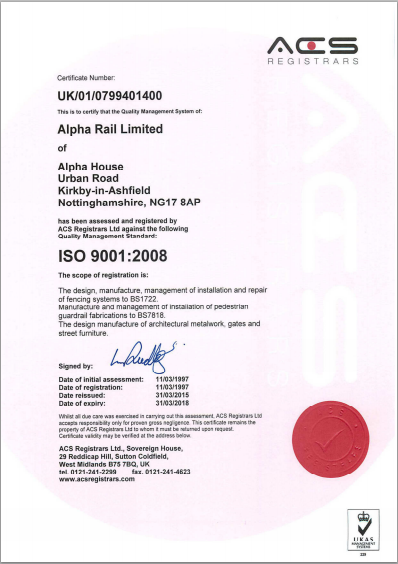 Alpha Rail is a quality assured company listed with ACS Quality Assurance with accreditation to ISO 9001 : 2008, ISO 14001 : 2004. This means the processes we use in the manufacture of our products are assessed by an external third party body for compliance to the highest standards. We are also members of Constructionline which is the UK’s register of pre-qualified local and national construction contractors and CHAS (Contractors Health & Safety Assessment Scheme) accredited. Anti-spam: What is double 100? What type of guardrail do you need? 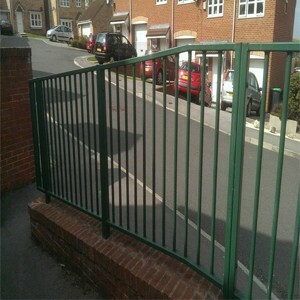 Staggered infill bars and see-through posts to provide the ultimate in visibility. Sometimes referred to as Visirail and Visiflex. 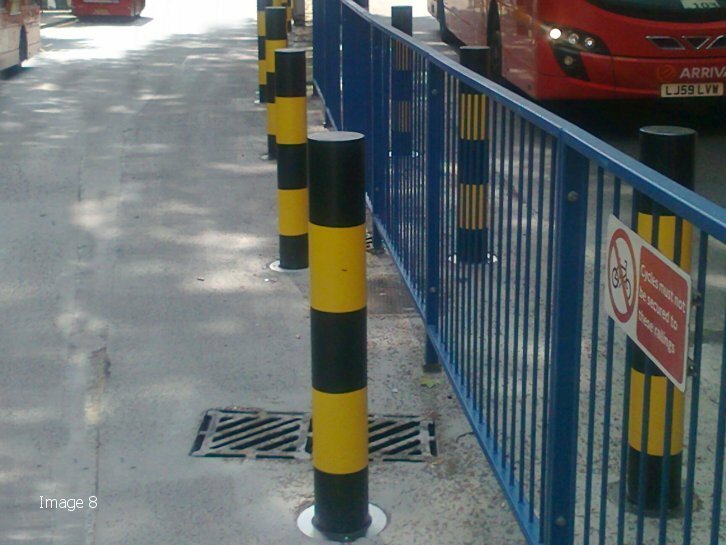 Designed to guide people along approved pathways and separate them from vehicular traffic.